Did you know? We now sell Christmas decorations. 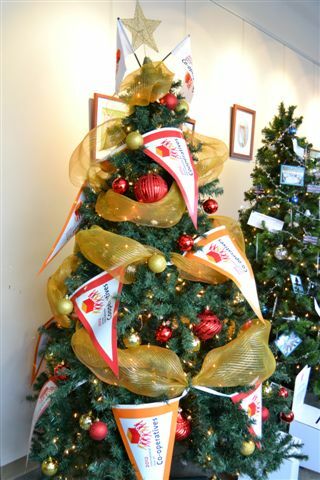 This particular tree is on display at the Bergengren Credit Union in Antigonish, Nova Scotia. Who knew our IYC pennant strings were so festive? The Flag Shop wishes everyone their own festive holidays no matter what you celebrate. A number of our stores, including the head office in Vancouver, will be closed for the last week of the year and re-opening on January 3rd. See our locations page for holiday hours and closings for your local Flag Shop. You are currently browsing the The Flag Shop Blog blog archives for December, 2011.